FL-AL-40 on 7/4/2014: "Rain did not arrive til the 2 pm hour( was not home at the time). Thunder, Lightning and gusty winds accompanied the rain. Only received about 1/2 inch at the time. Yards and streets littered with yard debris. Power went out briefly. Second storm came about dusk and received almost another inch. Fireworks were delayed a bit last night when rain moved out. Happy 4th of July!" FL-MA-6 on 7/12/2014: "Late afternoon T-storms moved slowly southeast to northwest with heavier rainfall north of Parrish. Lost of cloud-to-ground lightning." FL-HB-5 on 7/22/2014: "Noted to be slightly grey off to the west at 7:15 PM. Suddenly, a lightning bolt stabbed down within a block of me which propelled me out of the jacuzzi like a rifle shot. Very intense lightning strikes for about an hour with 0.70 inches of rain"
FL-HY-3 on 7/28/2014: "The last step for creating the rain turtle is to spit in the center of the turtle "shell" drawn on bare ground. Kids usually love this part. I find that rain turtles work well, expecially when there is a big, dark rain cloud coming your way. The end." FL-ES-16 on 7/31/2014: "Last of the three days and nights of somewhat cooler temps and lower humidity percentages here in Pensacola. It's going back to normal sum'ah time conditions tomorrow. It was nice a reprieve though with daytime 80's sunshine, ans star lite night time 60's." 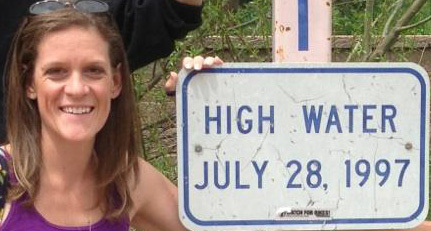 Answer: "A nation-wide grassroots science observing network that measures rain, hail and snow." 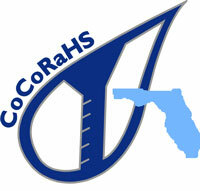 Since I am rarely able to watch television as my life outside of work keeps me busy, I missed a CoCoRaHS 'Shout Out' recently on the game show, Jeopardy. Teen contestant and finalist, Jeff Xie from Edison, NJ, is a CoCoRaHS observer and mentioned the program when he was talking with Alex Trebeck about his fascination with data collection. Since then, there have been a few new observers in each state that have listed 'Jeopardy' as their referral. Congratulations Jeff and Good Luck! If you've been an observer for a while, you know that every July I take a trip up to Tennessee to spend time with family and friends. And while it was hot, muggy and 'gross' here (typical Florida), I spent a few days enjoying the high temperatures in the low 80's and overnight temperatures in the low 60s. The morning of the 5th, it was 56 in Nashville, and even cooler out where my family lives- and nice dry air! 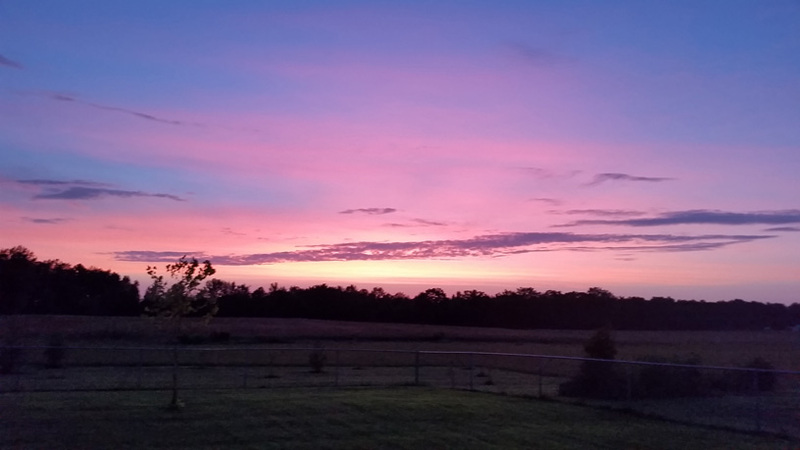 I took the time to sit out on the back patio, watch the lightning bugs and catching some fantastic sunsets. After the 4th of July, I boarded a plane and headed off to Stevenson, WA for the annual meeting of the American Association of State Climatologists. The meeting highlights the collaborative work done by state climatologists, regional climate centers and federal partners (NWS, NOAA) with climate data. 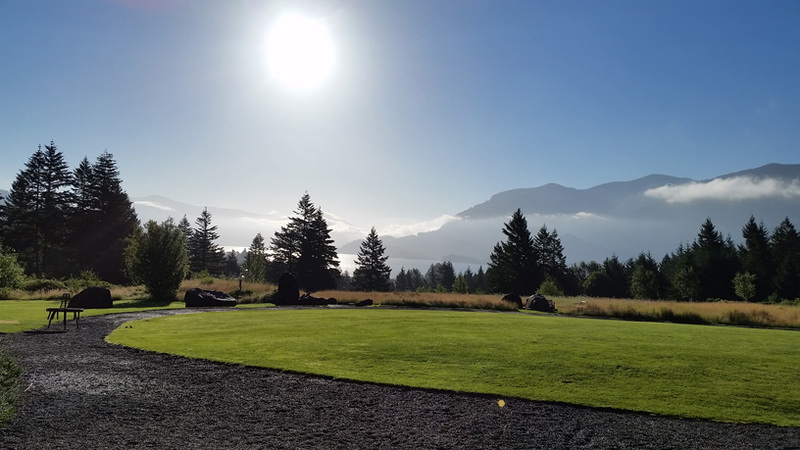 The weather in Columbia River Gorge was fantastic and view from the lodge was breathtaking each morning. 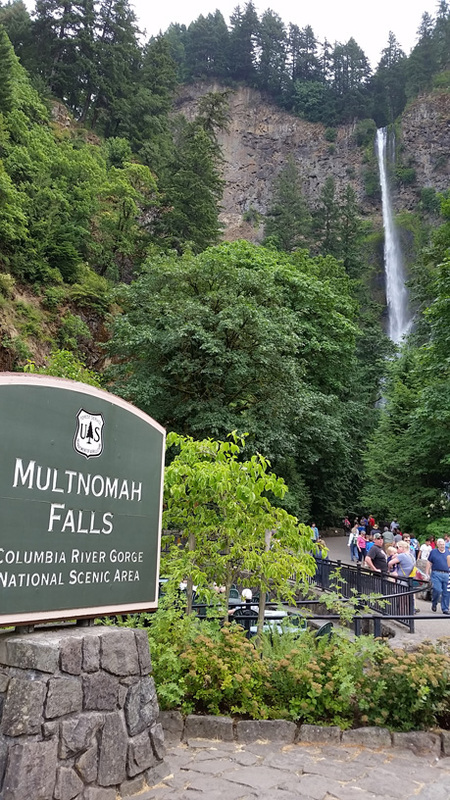 I was only able to briefly tour the area, but from what I saw, the Pacific Northwest has made it on a list of places I'd like to visit again. 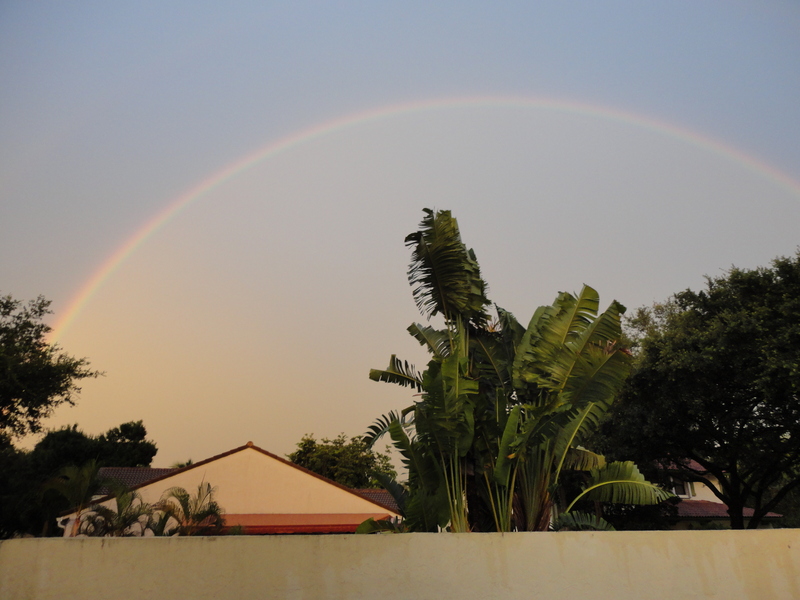 This month, Audrey (one of our more recent sign-ups), shared this beautiful picture of a rainbow from her home in Broward County. I would love to get pictures from other observers too! So as your out and about over the next month, snap a couple of photos and send them my way. You may see them in our next newsletter. 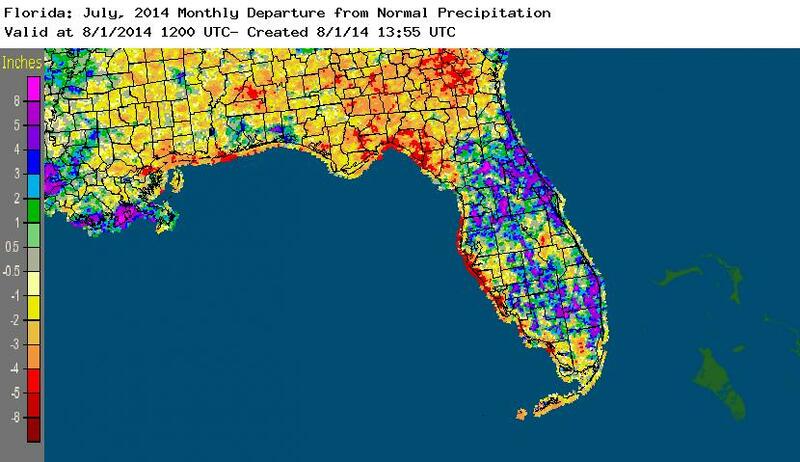 Portions of the Florida Peninsula reported monthly rainfall totals well above normal, while most of the rest of Florida saw below average rainfall during July (Figure 1). 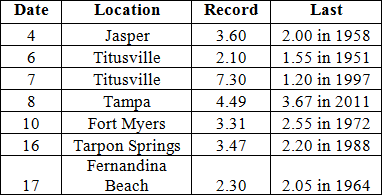 Departures from normal roughly ranged from -4.84" to 5.61" (Table 1), though localized parts of Florida saw rainfall totals that were as much as 8.00" below normal to over 8.00" above normal. 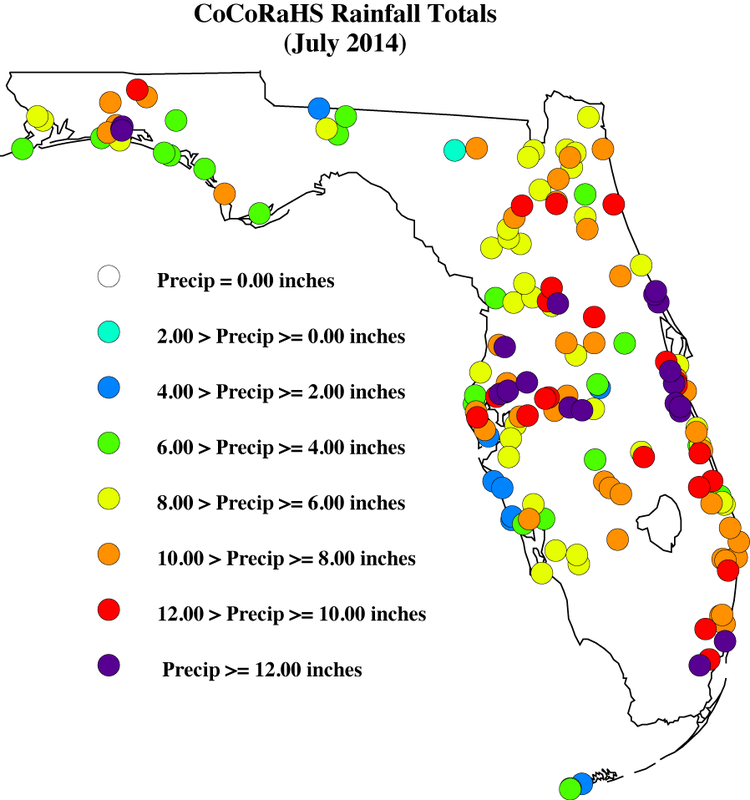 July 2014 was the 7th wettest in Tampa and the 10th wettest on record at Miami, and it was the 2nd driest in Tallahassee (the driest was in 1918, with only 1.28" reported for the month) and it was 8th driest on record in Jacksonville. There were multiple 24-hour precipitation records broken for the month (Table 2). Rainfall across most of the state kept drought conditions in check for most of July. 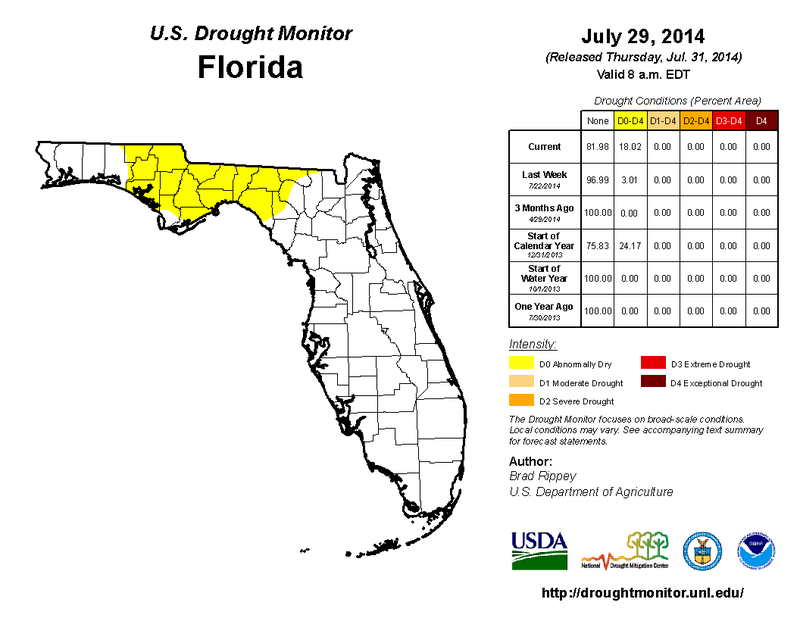 The state started the month 'drought free', until the release of the National Drought Monitor on the 15th. Abnormally dry conditions (D0) were introduced in Gadsden and Leon counties, along with portions of Holmes, Jackson and Jefferson counties along the state line between Alabama, Florida and Georgia. By the end of July, dry conditions were shown for most of the Big Bend and Panhandle counties after 3-months of below normal precipitation had been observed. In the Peninsula, the rains had curbed most of the dryness during the month and the water levels in Lake Okeechobee were currently at 13.89 ft., which is up from the end of June.